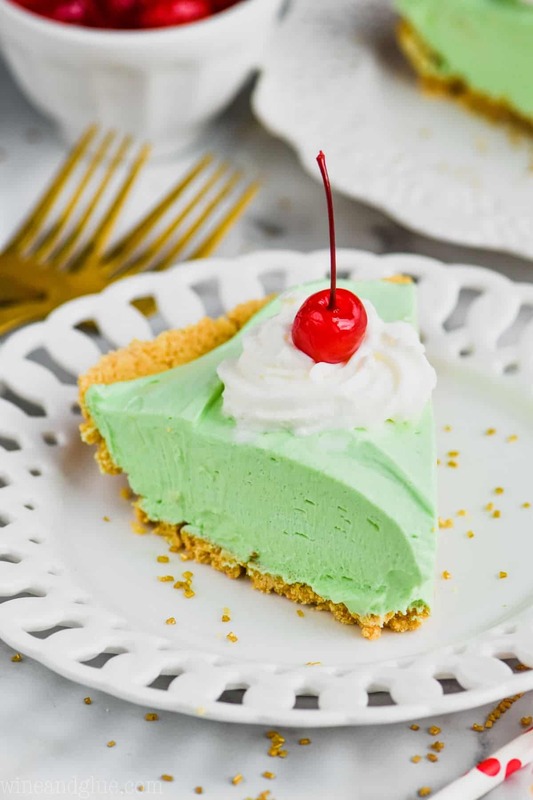 This Shamrock Shake Pie is your favorite McDonald’s Shamrock Shake made into an easy no bake pie! 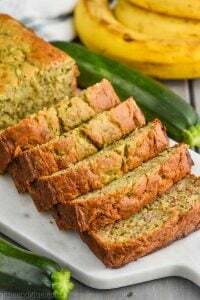 This recipe is only six ingredients and you can make it in less than 5 minutes! 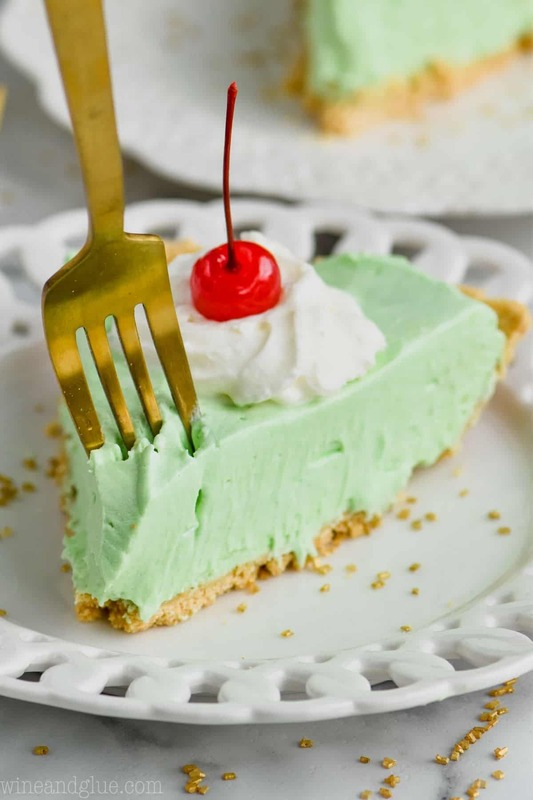 Of all the treats you could make for St. Patrick’s Day, you for sure need to make no bake pie! 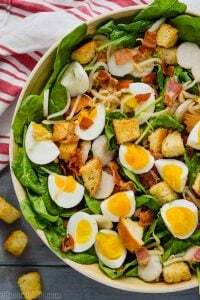 Do you guys know that when I started blogging, I was so hesitant to try recipes. I didn’t have the confidence to cook for strangers on the internet. I didn’t think that I would be good at creating recipes. But the thing is that I really love to eat. And I really do love to cook. I love to create. Coming up with new recipes really is a joy that I couldn’t deny. So I started dipping my toes in the waters of developing recipes. But I started doing it by creating recipes that were . . . weird. Desserts that were other desserts mutated. My S’mores Magic Bars or my Krispy Kreme Pie are perfect examples. I started making cocktails by smashing two other cocktails together. 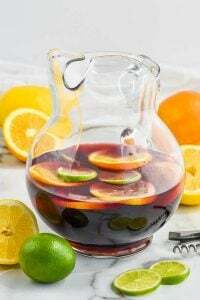 Like my Strawberry Daiquiri Sangria or more recently my Mojito Margarita (seriously so good!). 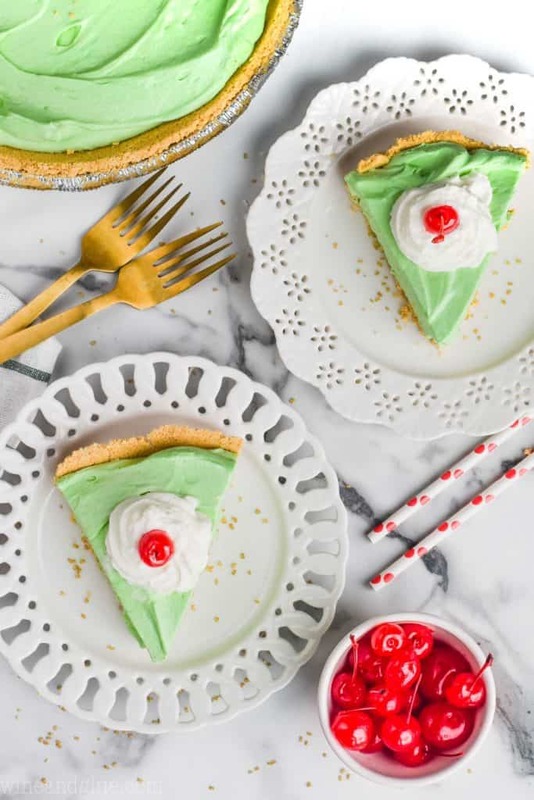 Another one of those early weird dessert combos was this Shamrock Shake Pie! I recently made a video of it and decided the photos needed an update. If every year around this time you start craving a Shamrock Shake, you are going to want to make this pie! It is so easy, fast, and delicious. I love a good no bake pie. It doesn’t get much easier than that. Another great no bake pie that has become super popular recently is my No Bake Baileys Chocolate Pie. 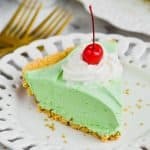 WHAT DO I NEED TO MAKE A SHAMROCK SHAKE PIE? You only need six ingredients for this amazing dessert! CAN I USE WHIPPING CREAM INSTEAD OF COOL WHIP? The short answer is no. Besides being lazy, the reason that I use Cool Whip is that it is stabilized. Homemade whipped cream is not. So using homemade whipped cream will result in a melty pie. If you want a homemade option, I would recommend this Homemade Cool Whip. I have also always been obsessed with making holiday themed desserts. So! If you are looking for all the green, mint, rainbow, and whiskey themed treats you can handle, you’ve come to the right place. 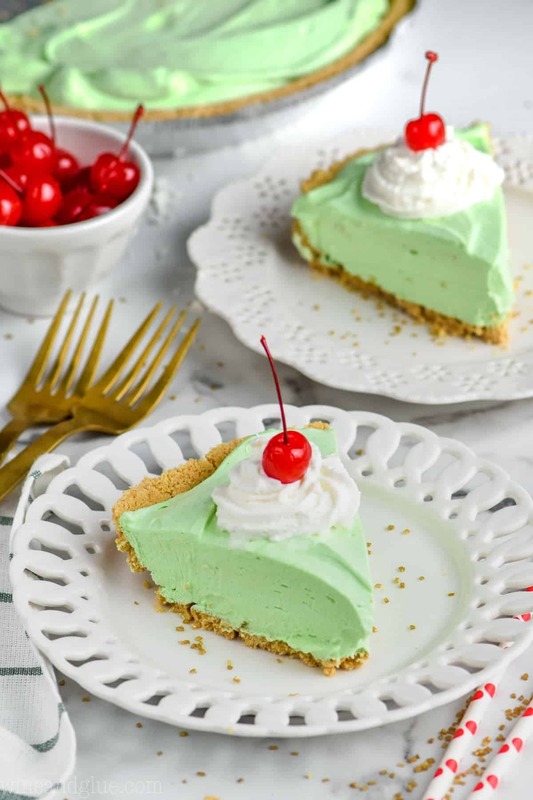 This Shamrock Shake Pie is your favorite McDonald's Shamrock Shake made into an easy no bake pie! 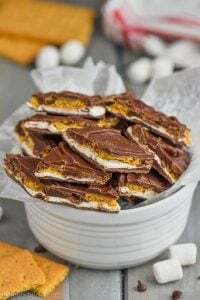 This recipe is only six ingredients and you can make it in less than 5 minutes! Of all the treats you could make for St. Patrick's Day, you for sure need to make no bake pie! In a large bowl, mix together the pudding mixes and the milk until well combined. Then add the cool whip, the mint extract, and the green food coloring. Pour the mixture into a premade pie crust. Refrigerate until completely set, about four hours or overnight. Serve a with whip cream and a cherry. Please note that the calorie count for this pie is using full fat Cool Whip. It would be slightly lower if you used Lite Cool Whip. 1 million x yes on this pie!! OMG! And a few months ago I realized my baby is not even a little girl anymore, she’s almost a….teen. *shudder*. I’m not going to say “woman” because, um, NEVER. Its fun to hear an update on Piper! doesn’t the time fly? This pie looks great! 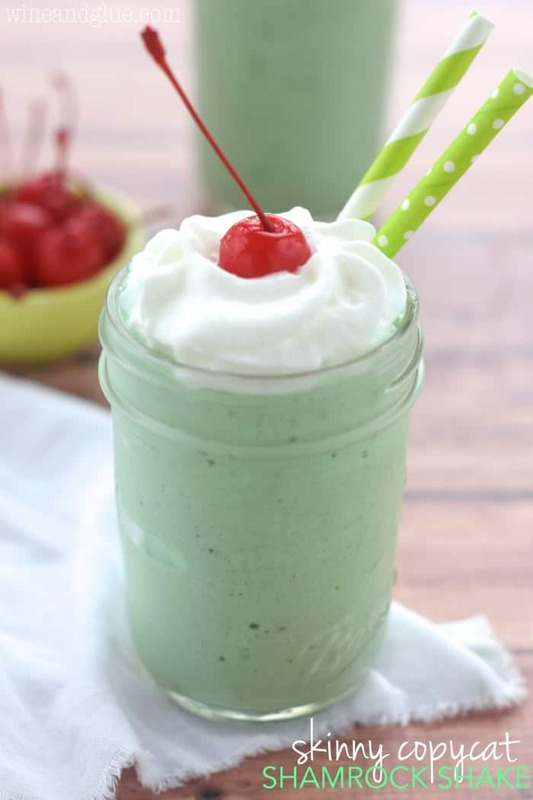 I am currently addicted to McD’s shamrock shake, sooo I will be trying this! 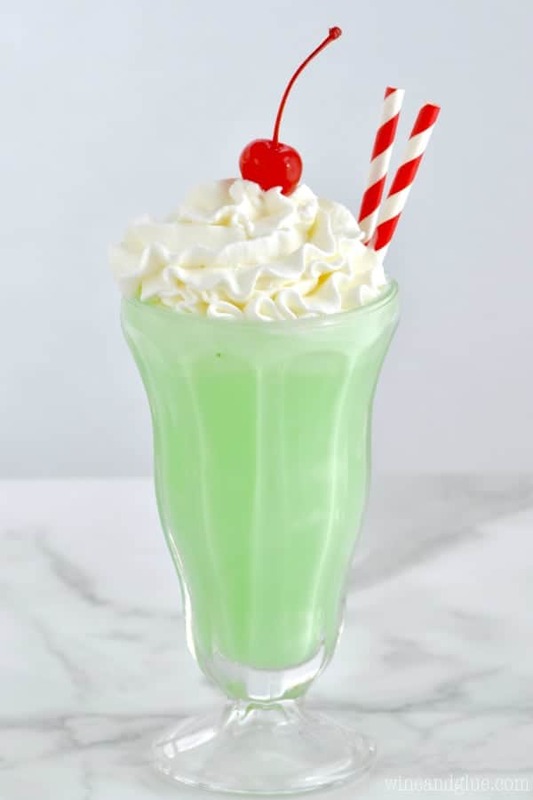 Shamrock shakes were always my most favorite thing in the whole world growing up! 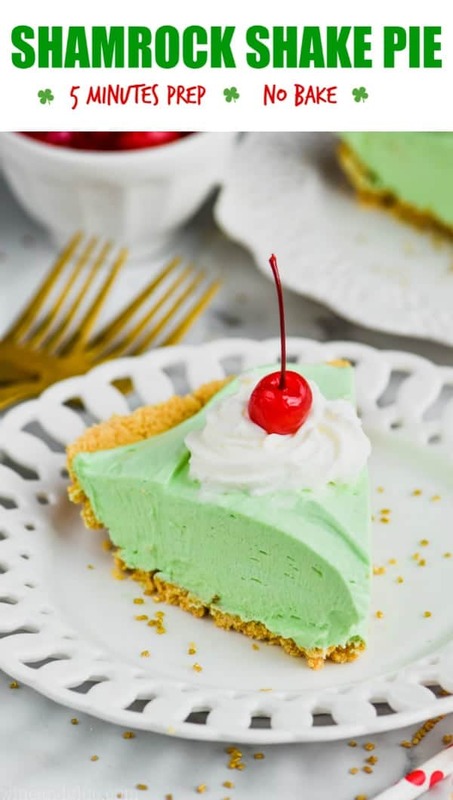 So making this as a special St. Patty’s day treat! Looks delicious and definitely my kind of simple! OMG, YES!! My oldest is turning ten in just a few months. TEN! I don’t even know how I am going to handle that. I am going to need a good pie, that’s for sure. This looks fantastic! Probably! If you give it a go let me know how it turns out! I made it. Was delicious.So easy to make. Did you use a specific brand pudding? I found instant vanilla in only 1.85oz packages so I used 4. I am not sure it turned out the same, but still super easy to make. Thanks! I used Jell-O brand, I’m glad it still worked for you!